The 16th annual Internet Librarian conference recently concluded in Monterey, Calif. More than 1,000 registrants and 215 speakers tackled the topic of Transformational Power of Internet Librarians. 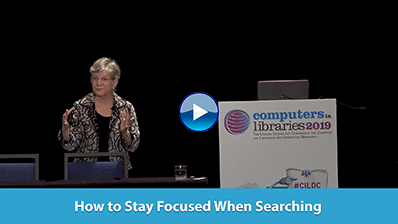 While the sessions ranged from accessibility of digital content to web analytics, two themes took center stage: the future role of libraries and the reality of ebooks. As it turns out, some would assert that the future role of libraries depends upon the ultimate impact of ebooks. Reprints Desk, Inc., the creator of the Article Galaxy software service for document delivery, medical reprints, and literature management, announced that Research Solutions, Inc. has agreed to transition its entire base of customers to Reprints Desk. Research Solutions co-founders Chris Atwood and Shane Hunt will join Reprints Desk in strategic customer-facing roles, where they will remain actively engaged with customers. Terms of the transaction were not disclosed. Impelsys, a provider of electronic content delivery solutions, is powering the new Bowker Book as an Android App, with its iPublishCentral software platform. Book as an Android App allows authors and small publishers to use Bowker's www.myidentifiers.com to create Android-compatible ebook apps from any PDF or EPUB document, opening new sales channels such as Google Play and the Amazon App Store. CourseSmart, in partnership with Internet2 and EDUCAUSE, announced a research project to test a simple, convenient, and affordable approach to digital course materials. Up to 20 institutions will be invited to participate in a trial of the CourseSmart Subscription Pack, a one-stop shopping experience where students can buy all of their etextbooks from one website for one subscription price over a fixed access period.